This superb joint Honours degree gives you the language skills and historical awareness to better understand foreign cultures and societies – in Europe and beyond. The Cambridge course provides insight into the cultures of other countries, and understanding of the past and present in international contexts. Our four-year degree encompasses intensive study in language, culture, film, the history of political thought and a wide variety of modern British, European, American and world history. Like other language students, you spend the third year abroad – studying or working in a foreign country and immersing yourself in the language, culture and history. When you graduate, you’ll have near native-speaker skills in your language and a deep knowledge and understanding of the regions in which that language is used. You’ll also have acquired a wider knowledge of European and extra-European history. Languages options are German, Italian, Russian and Spanish from scratch or post-A Level/post-IB Higher Level; Portuguese from scratch; and French post-A Level/post-IB Higher Level. You should indicate in your SAQ which language you’re interested in studying. If you want to take up a new language from scratch, you should select the 'ab initio' option for the relevant language in your SAQ. If you want to take one of the post-A Level/post-IB Higher Level language options, you must have an A Level/IB Higher Level (or equivalent) in that language. For both history and modern languages, our exceptional teaching and research are globally respected. 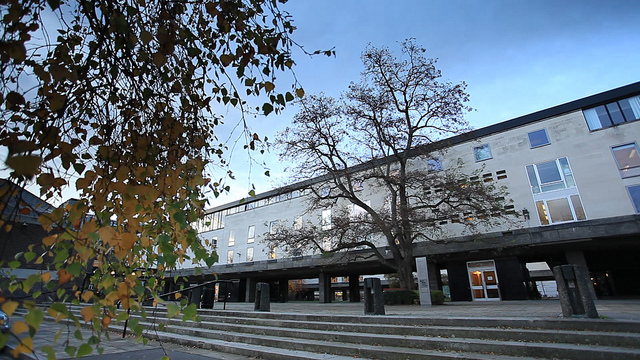 In these subject areas, the University consistently features at the top of national and global league tables – for example, first in the country in the Guardian University Guide 2018 and in the top three in the QS World University Rankings 2017 – and more than 80 per cent of submissions from these Faculties were deemed 4* (world leading) or 3* (internationally excellent) in the last Research Excellence Framework (REF 2014). Students can benefit from access to the facilities and resources available across both Faculties (which are adjacent to each other on the Sidgwick Site), as well as those offered at the neighbouring University Library and the University’s Language Centre. The Faculty of History's Seeley Library is one of the largest history libraries in the world; holding around 95,000 books and publications, and subscriptions to more than 100 journals. In addition, the collections in the University Library, College libraries and online are extensive and include a wealth of rare materials and manuscripts, as well as standard texts. The Faculty of Modern and Medieval Languages (MML) also has a well-stocked library of around 118,000 books and 3,500 videos, DVDs, CDs and audio recordings – boasting excellent coverage of the literature, film, history and thought of key language areas, from the middle ages to the present day – as well as the Computer-Assisted Language Learning (CALL) Facility, the Media Centre, a phonetics lab and a dedicated Year Abroad Office. There are no compulsory additional course costs for History and Modern Languages. Full course details are available on the Faculty of Modern and Medieval Languages website and if you have any queries about resources/materials, please contact the Faculty. It’s possible to change from History and ML after Part IB (Year 2) to the History course or to the Modern and Medieval Languages course. In some cases, it may be possible to change to other courses (providing any subject pre-requisites and other conditions are met). Students on other courses may be able to change to History and ML after either Part IA or Part IB, providing they have the necessary language skills. Students wishing to change from History to History and ML may do so after completion of their second year of study. It is not possible to switch from the History Preliminary Examination (year one) to History and ML. If you think you may wish to change course, it’s best to discuss this with the College you intend to apply to before submitting your application. History and ML graduates will be well equipped to appeal to a wide range of potential employers – advanced language skills and experience of living abroad are transferable skills that are often in great demand. Recent History graduates and Modern Languages graduates have progressed to careers in the media, PR, law, public administration, consultancy, teaching and the charity sector. See the History course and Modern and Medieval Languages course pages and the Careers website for more information about what our students go on to after Cambridge. The course also provides good preparation for further study in either history or the language. Languages options are German, Italian, Russian and Spanish from scratch or post-A Level; Portuguese from scratch; and French post-A Level. You should indicate in your Supplementary Application Questionnaire (SAQ) which language you’re interested in studying with History. Teaching is provided through lectures, intensive language classes, seminars and College supervisions. You can typically expect around 14 hours of teaching each week, alongside which you complete translation and essay assignments, as well as supervision essays which you discuss with a subject specialist. There are written exams at the end of each year, plus an oral examination in your chosen language. In the final year, you can offer a dissertation of 10,000 words in place of a written exam. You receive intensive language training (including translation and conversation) and take an introductory paper on the literature, history, film and philosophy of the country where your language is spoken. You also choose two broad papers in history (European and/or global). You continue with classes to improve your language skills, and also choose three advanced papers, including at least one in your chosen language (eg literature, history, film, art, thought) and history (European, global or intellectual). You spend the third year abroad – studying, teaching or on a work placement while gaining near-native proficiency in your language. You also complete a project, normally on a topic related to the history of the country you’re staying in. In the fourth year, you continue with advanced language work, and take three specialised papers from a range of topics related to your language (eg literature, history, film, thought) and history (covering a variety of periods and parts of the world). You must take at least one from each subject. For further information about studying History and Modern Languages at the University of Cambridge see the Faculty of Modern and Medieval Languages website. For other qualifications, see our main Entrance requirements pages. See History and Modern Languages: Subject Requirements and Typical Offer by College for College-specific requirements/preferences. All undergraduate admissions decisions are the responsibility of the Cambridge Colleges, so please check College websites for further details. See also Entrance requirements and The Subject Matters for additional advice about general requirements for entry, qualifications and offers. Applicants not offered a place for History and Modern Languages may be considered for the History and/or Modern and Medieval Languages courses. Applicants for History and ML are required to take written assessments both pre-interview and at interview, if interviewed. You need to be registered in advanced for the pre-interview assesssment. For more information on the pre-interview assessment, see the History assessment. For post-A Level languages: Discursive response in Foreign Language (40 minutes); Discursive response in English (20 minutes). For more information, see the Modern Languages assessment. For languages from scratch (ab initio): Discursive response in English (40 minutes); Language Aptitude Test (20 minutes). For more information, see the sample paper (including guidance on how to prepare) and answer booklet. You do not need to register or be registered in advance for the assessment at interview – the Colleges provide details of arrangements in the letters inviting applicants to interview. Please note that your performance in the assessment(s) at interview will not be considered in isolation, but will be taken into account alongside the other elements of your application. Applicants to the following Colleges are required to submit one or two School/college essays as examples of written work prior to interview. See individual College websites for further details. The Course - Information about the History and Modern Languages degree at Cambridge. Key Facts - Some key pieces of information about the History and Modern Languages course. HE+ Resources - For 6th Form students who want to further their interest in History and/or Modern Languages.